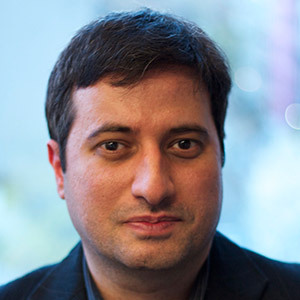 Mohamad Bazzi is an associate professor of journalism at New York University, where he teaches international reporting. From 2009 to 2013, he served as an adjunct senior fellow for Middle East studies at the Council on Foreign Relations (CFR), providing regional expertise and analysis. He was also the 2008 Edward R. Murrow Press Fellow at CFR. Before joining the NYU faculty, Bazzi was the Middle East bureau chief at Newsday from 2003 to 2007. He established Newsday bureaus in Baghdad and Beirut, and he was the lead writer on the Iraq war and its aftermath. He has written extensively about regional politics, Sunni-Shiite conflicts, and militant Islam. He also covered the 2000 Palestinian uprising, the war in Afghanistan, and the 2006 war between Hezbollah and Israel. In nearly 10 yearson staff at Newsday, he served as the United Nations bureau chief and as ametro reporter in New York City. His essays and commentaries on the Middle East have appeared in The New York Times, London Review of Books, Foreign Affairs, The Nation, Newsweek, The Wall Street Journal, The Christian Science Monitor, Chicago Tribune, Salon, and other publications. He has won numerous journalism awards, including the 2008 Arthur Ross Award for distinguished reporting and analysis on foreign affairs, presented by the American Academy of Diplomacy; the 2008 American Academy of Religion Award for in-depth reporting on religion; the 2005 Elizabeth Neuffer Memorial Prize from the United Nations Correspondents Association; and the 2004 James Aronson Award for Social Justice Journalism.